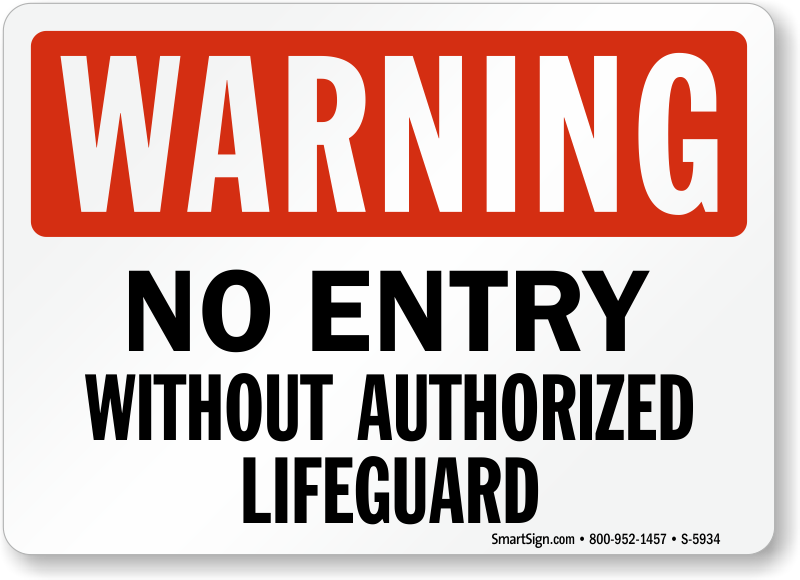 Let everyone know when there is no lifeguard on duty in your swimming area. 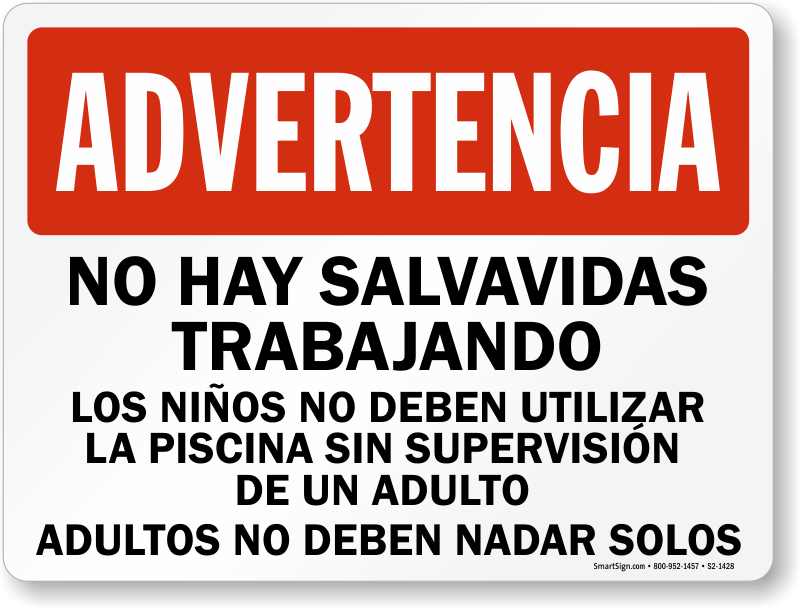 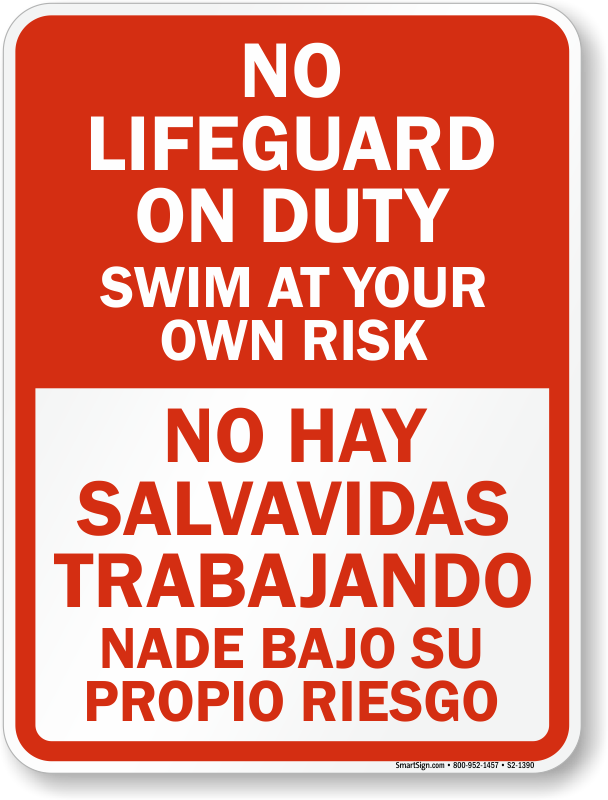 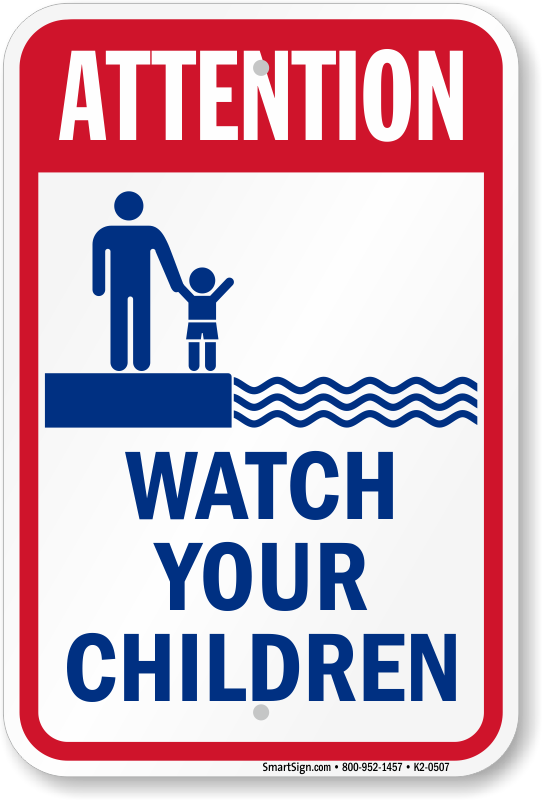 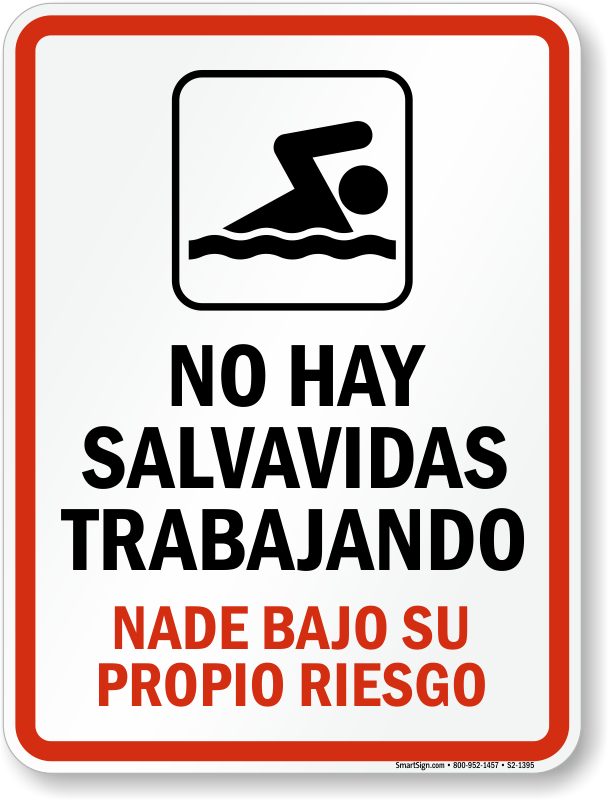 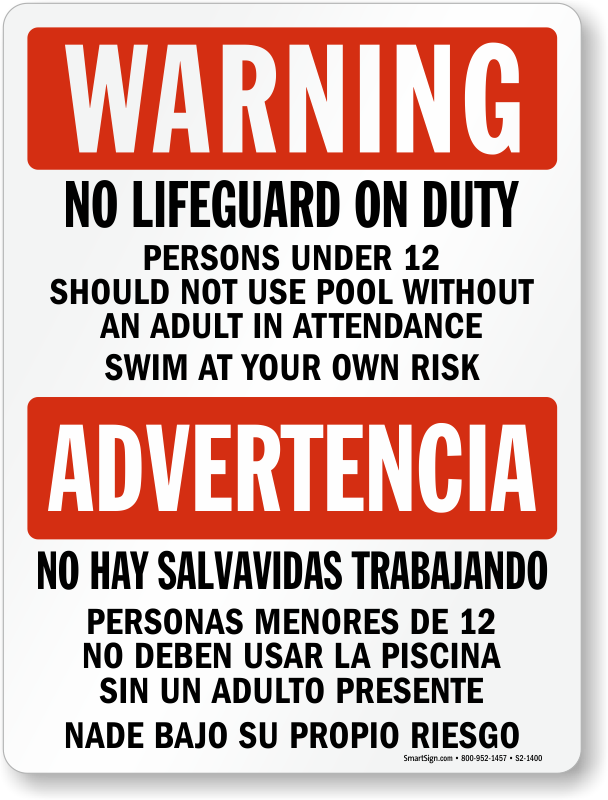 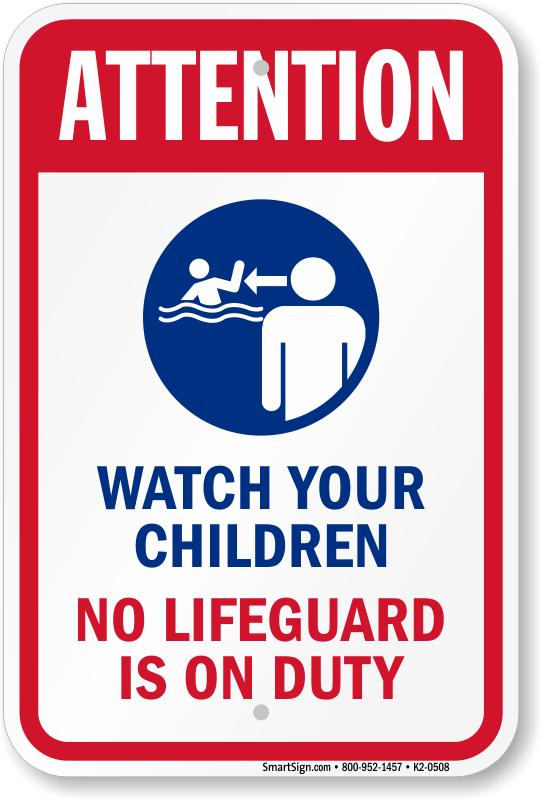 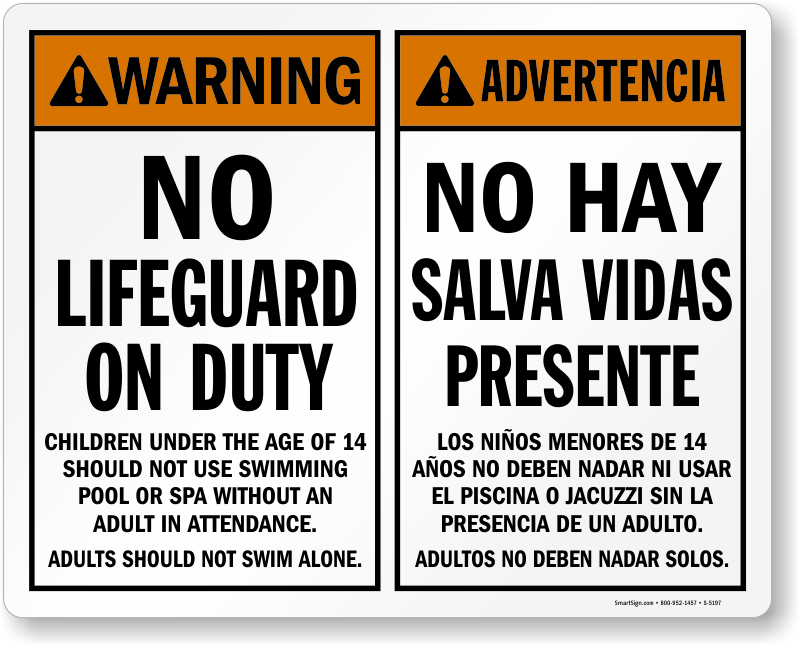 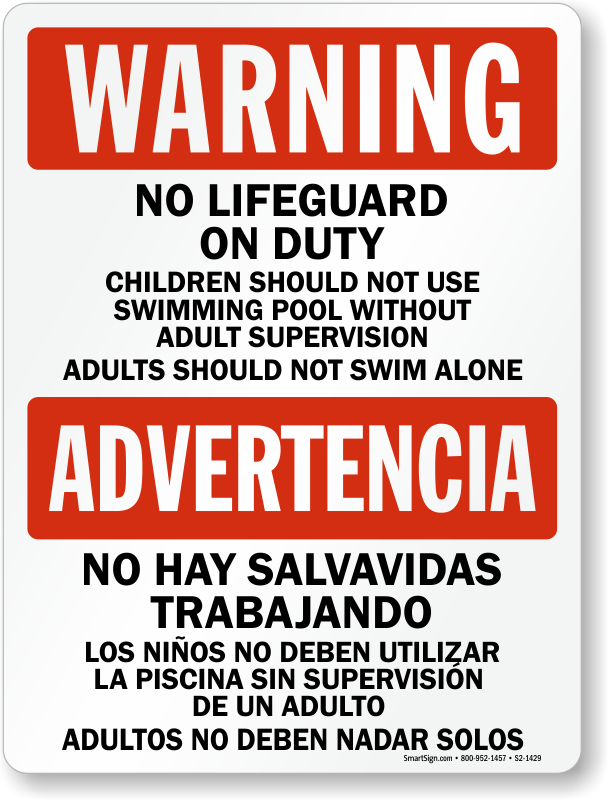 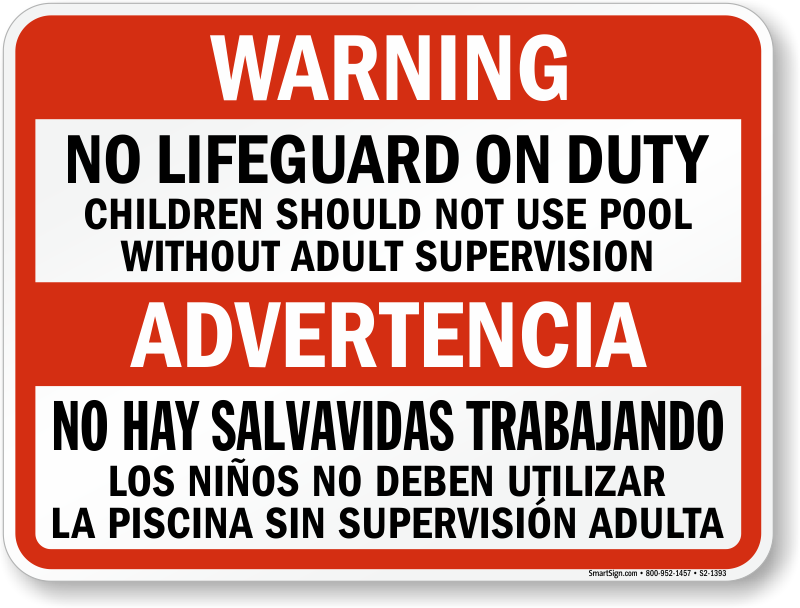 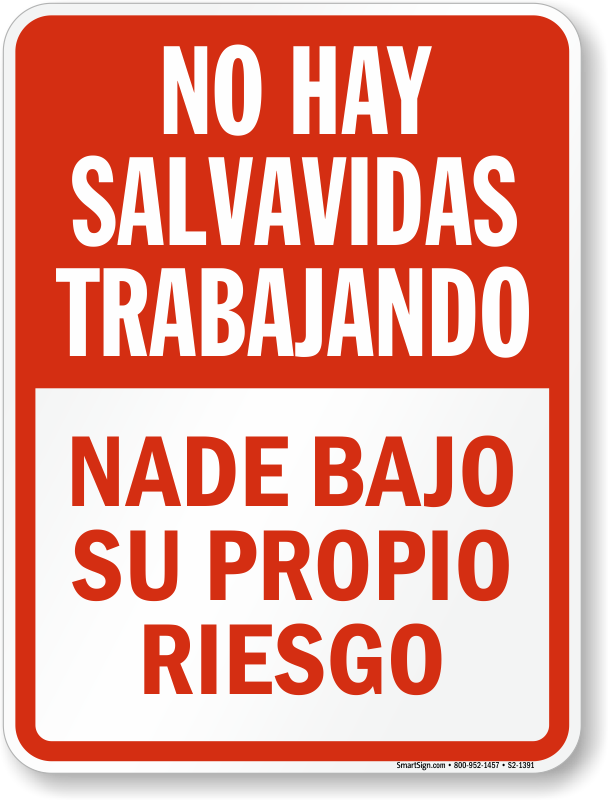 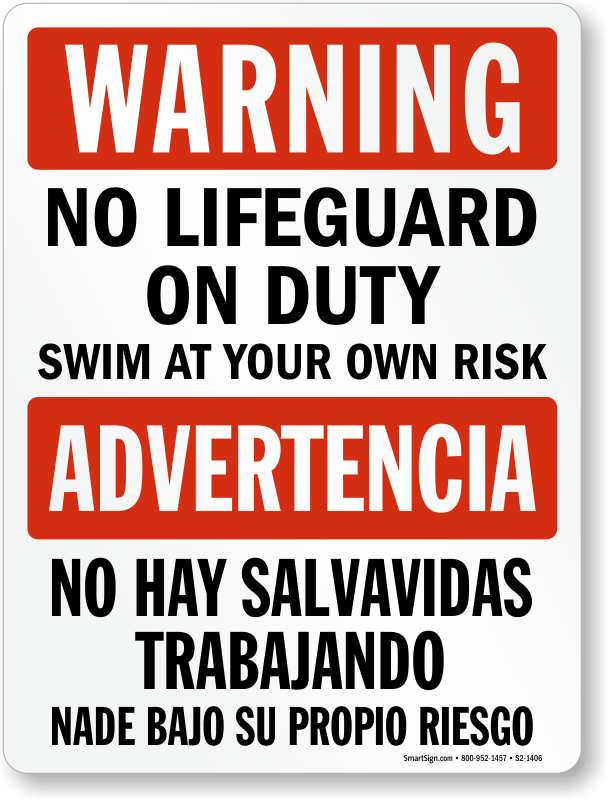 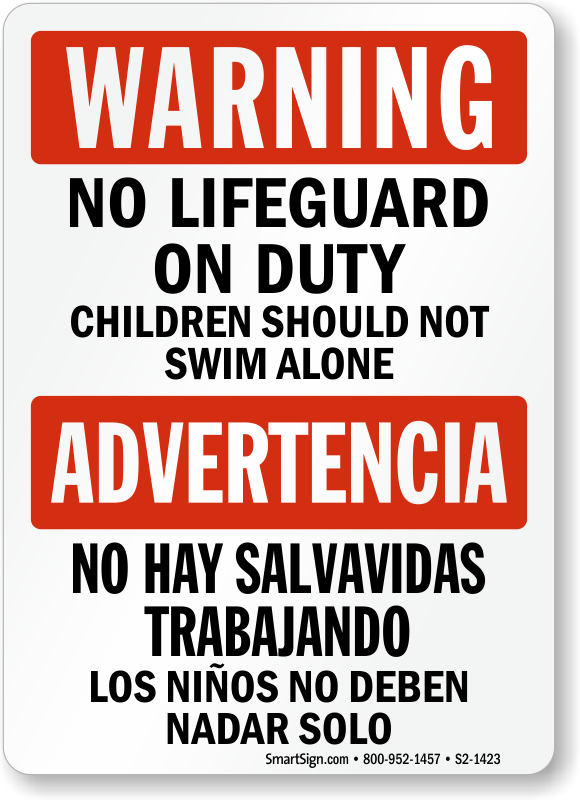 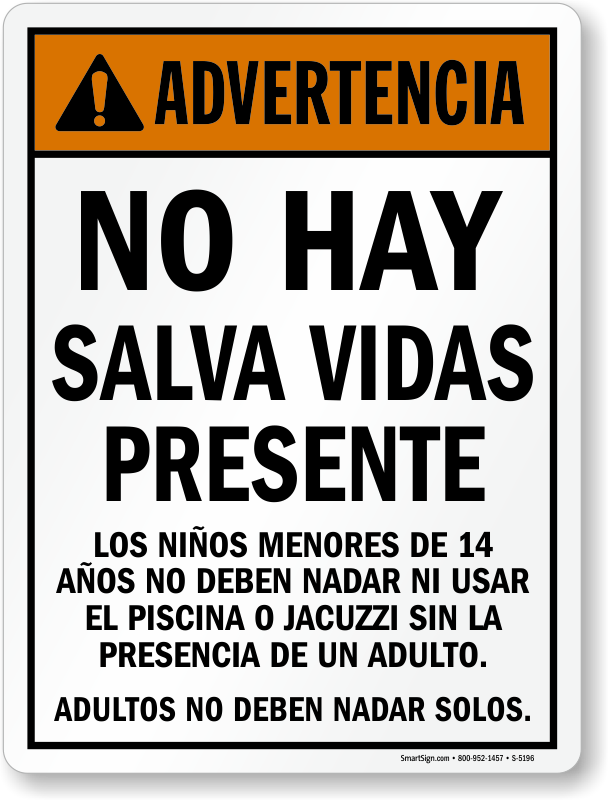 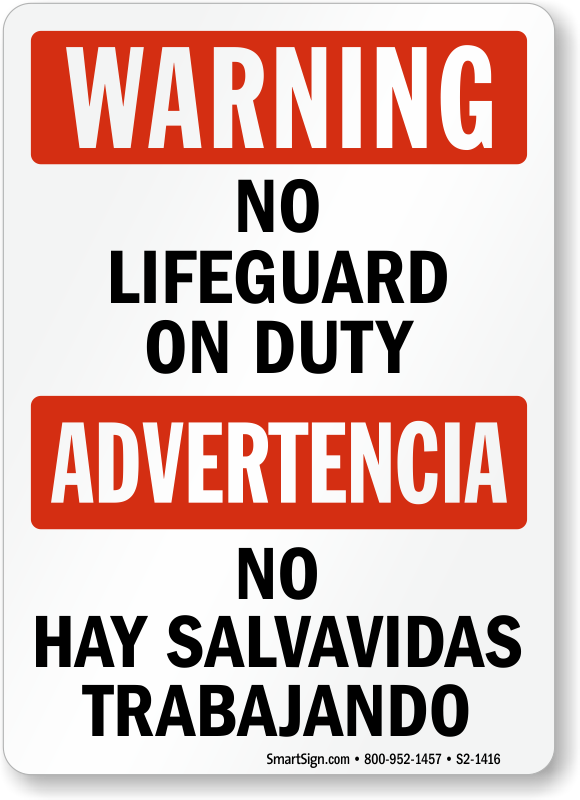 We feature a variety of English, Spanish and Bilingual Lifeguard Signs that help limit your liability and encourage safe swimming and conduct in any public swimming area. 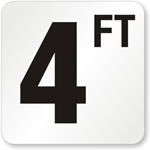 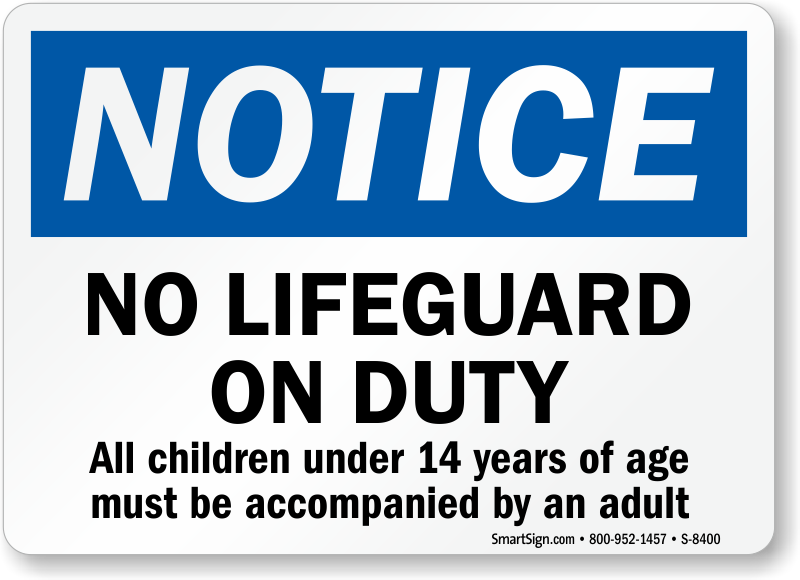 Post No Lifeguard Signs around every part of your swimming area to help keep it safe at all times of the day. 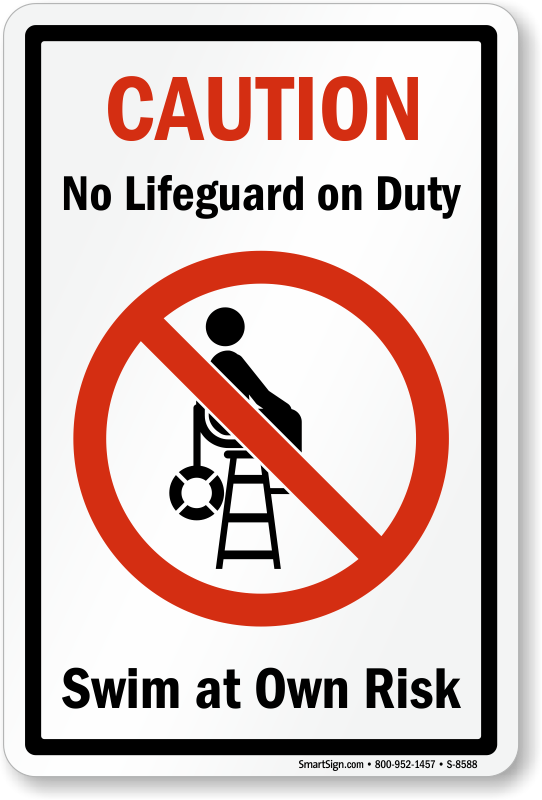 • No Lifeguard on Duty Signs helps warn swimmers to use caution when swimming. 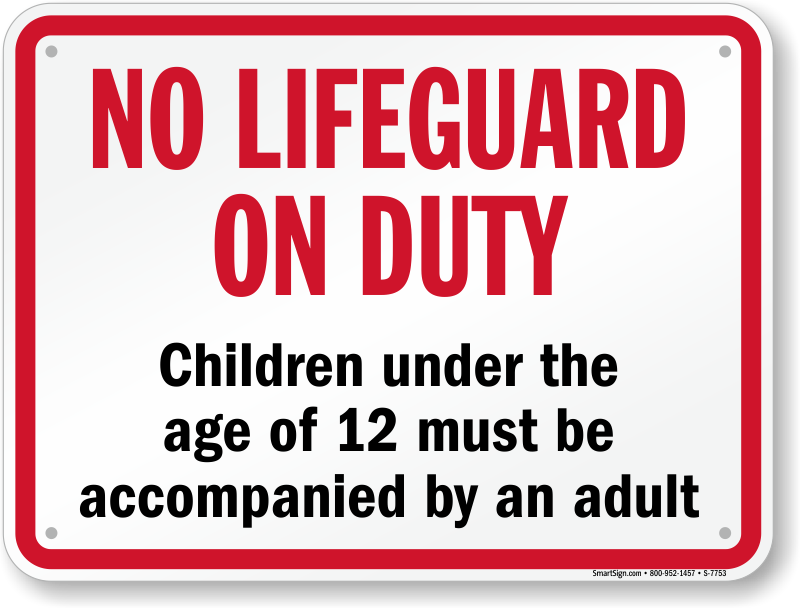 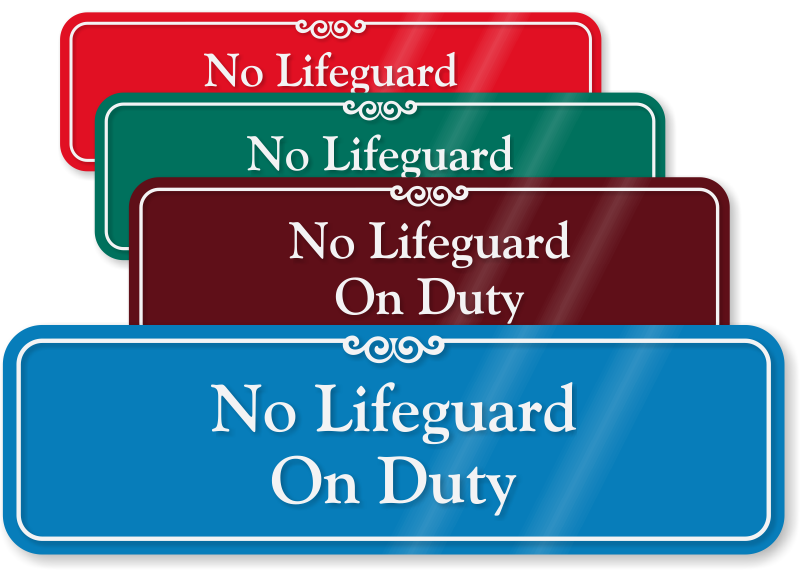 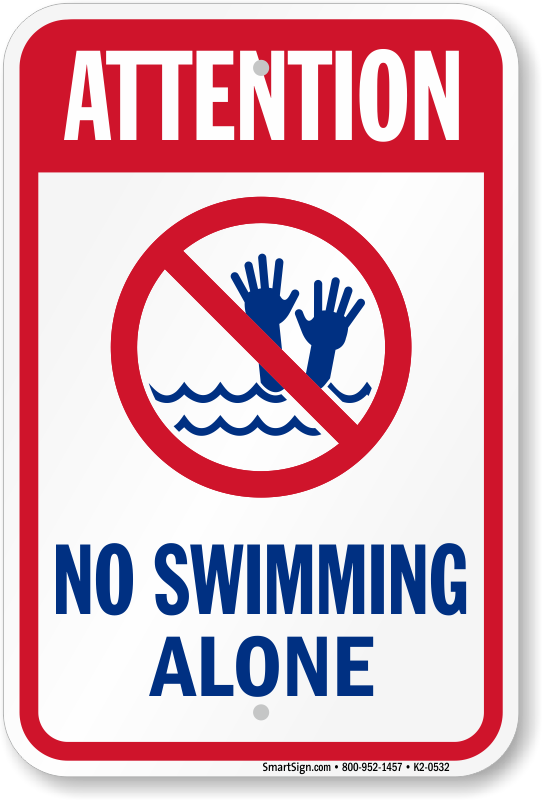 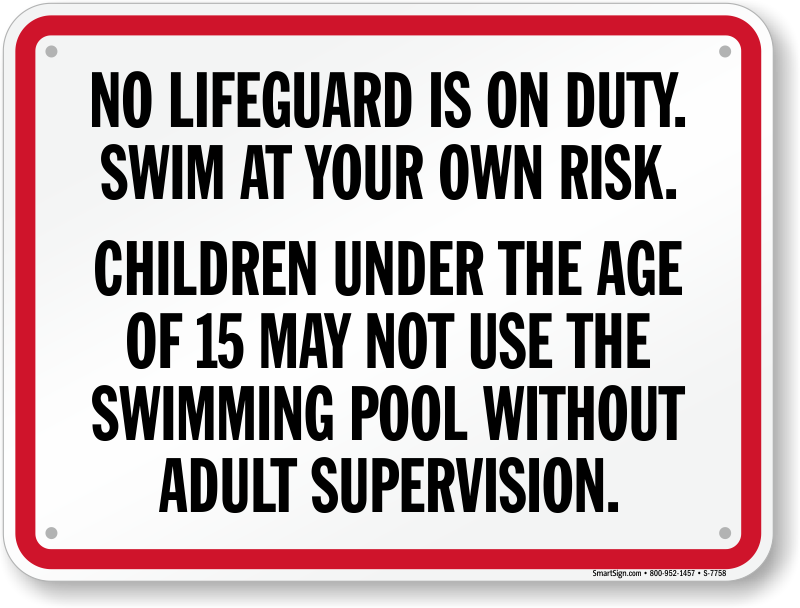 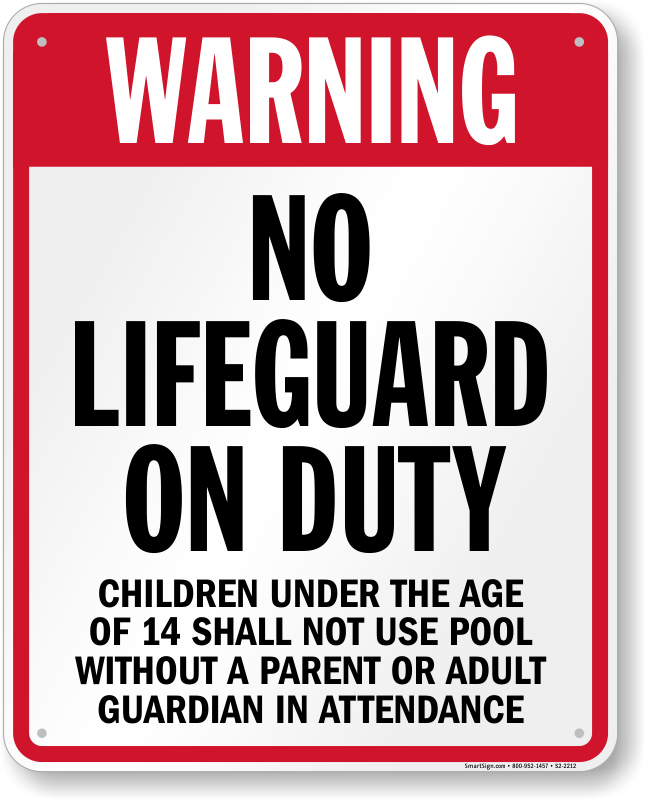 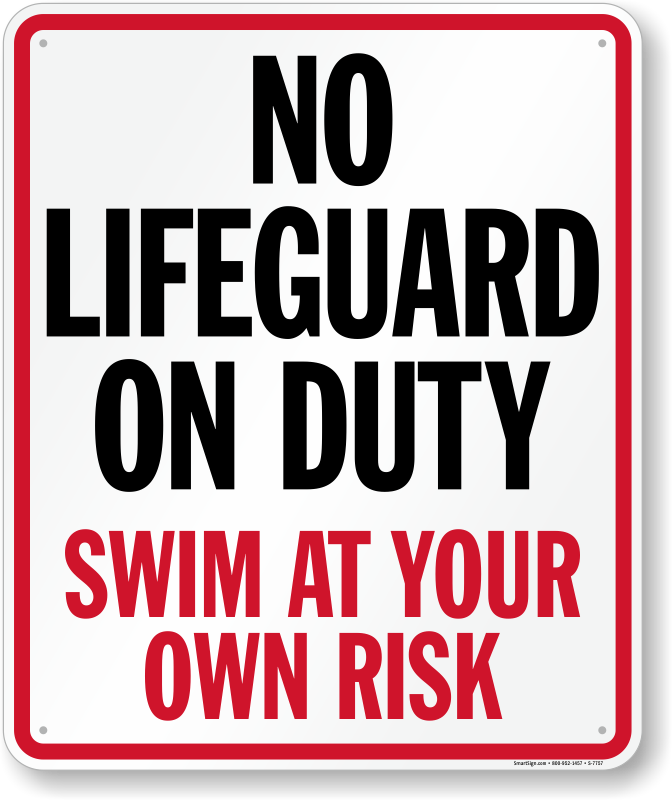 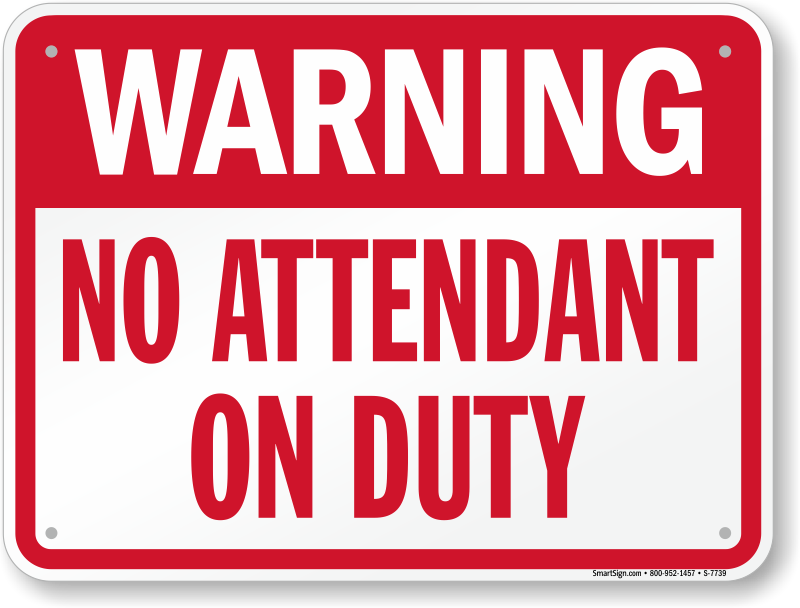 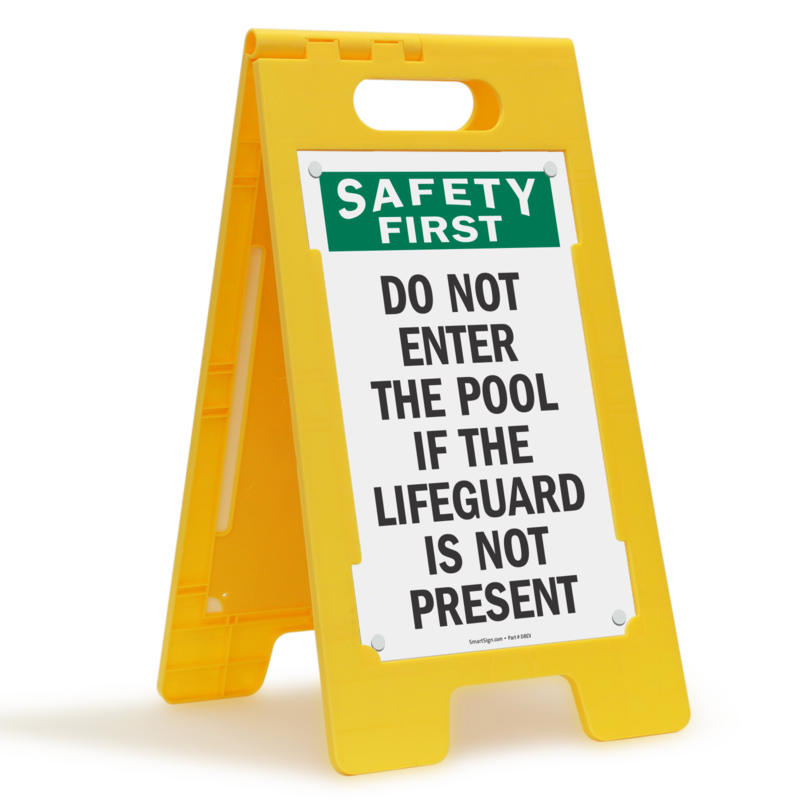 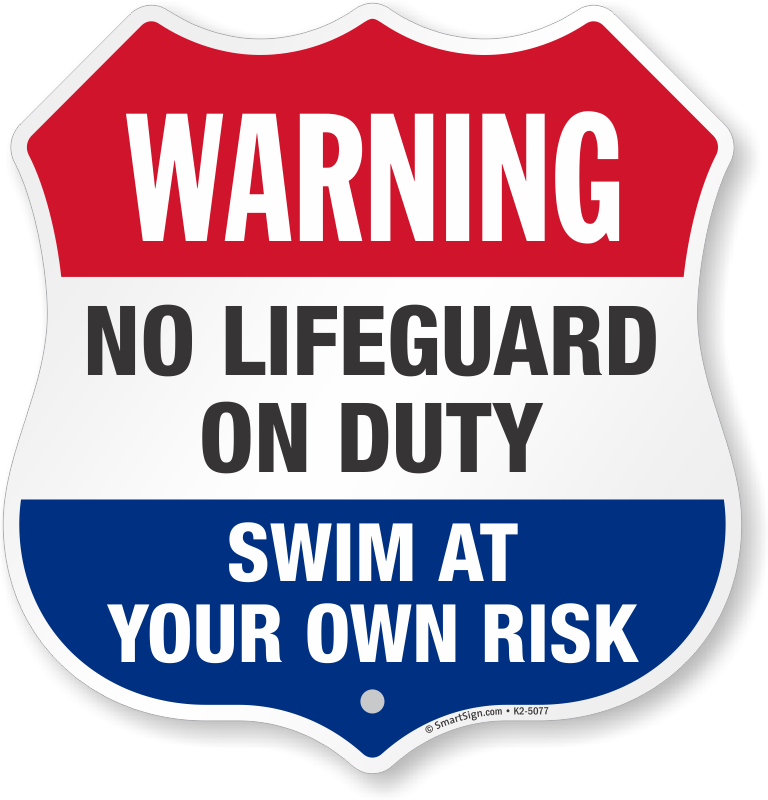 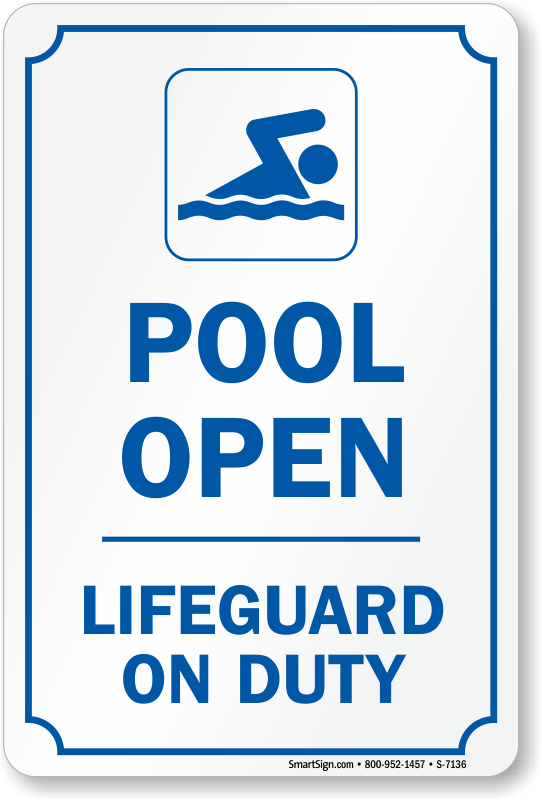 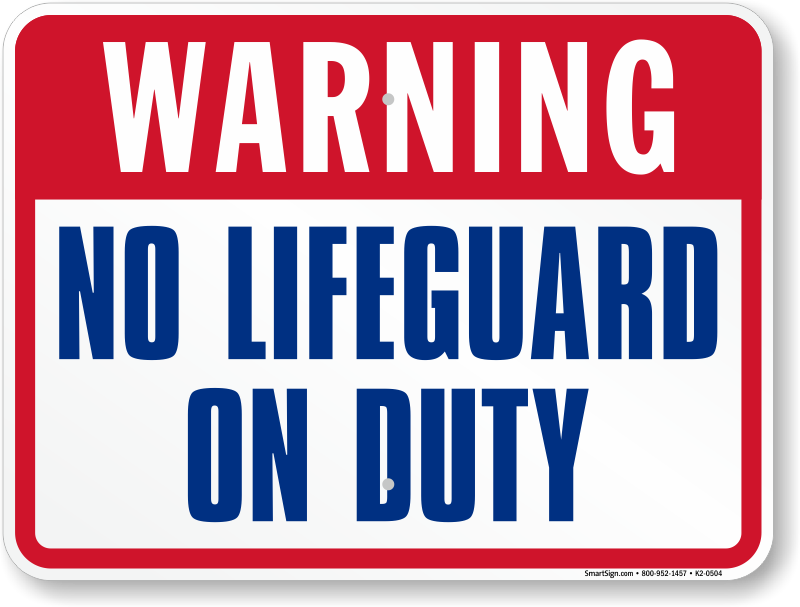 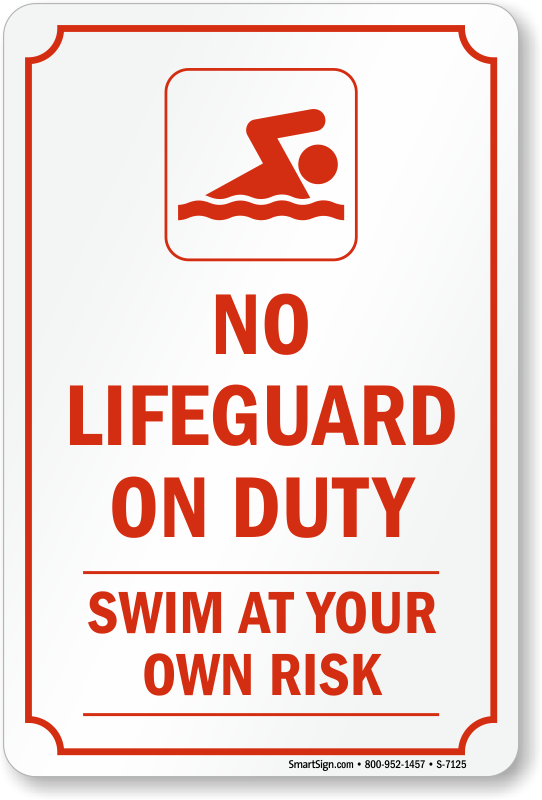 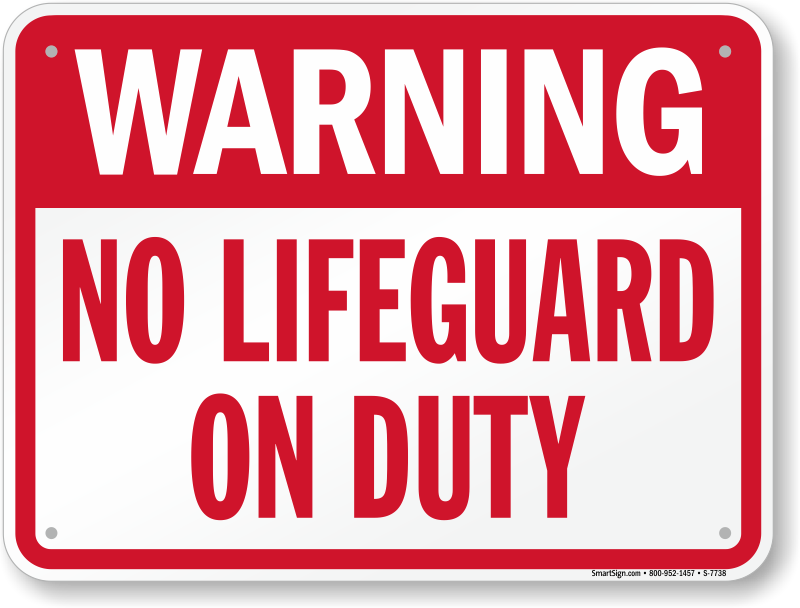 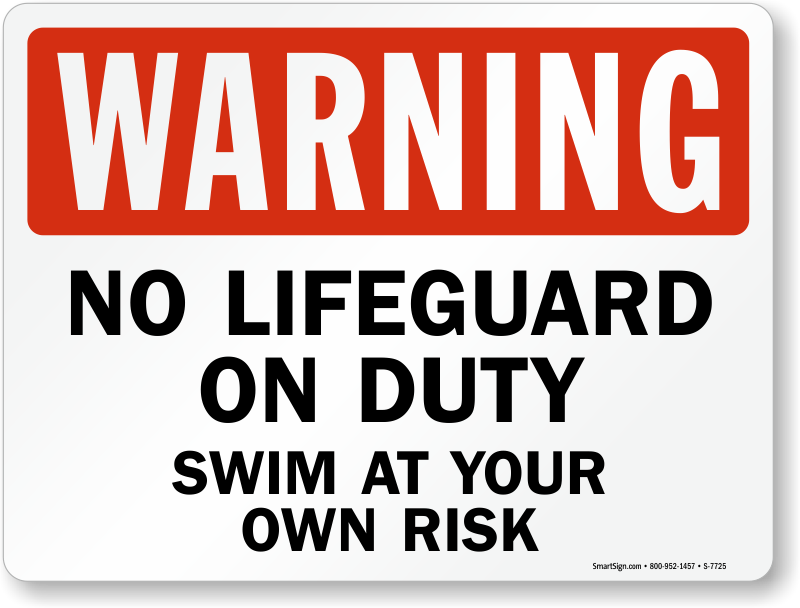 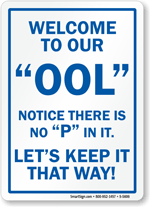 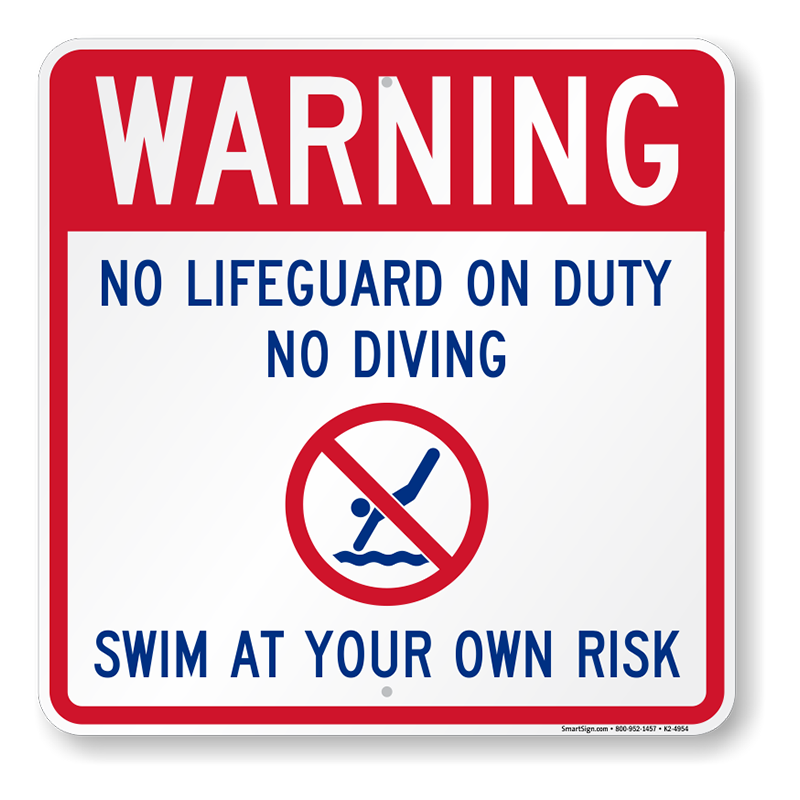 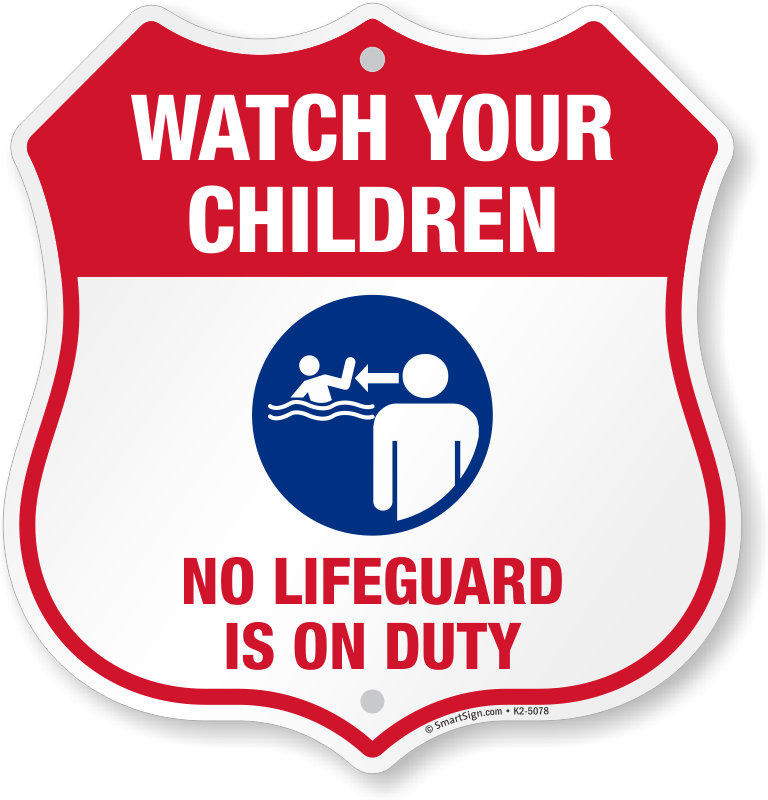 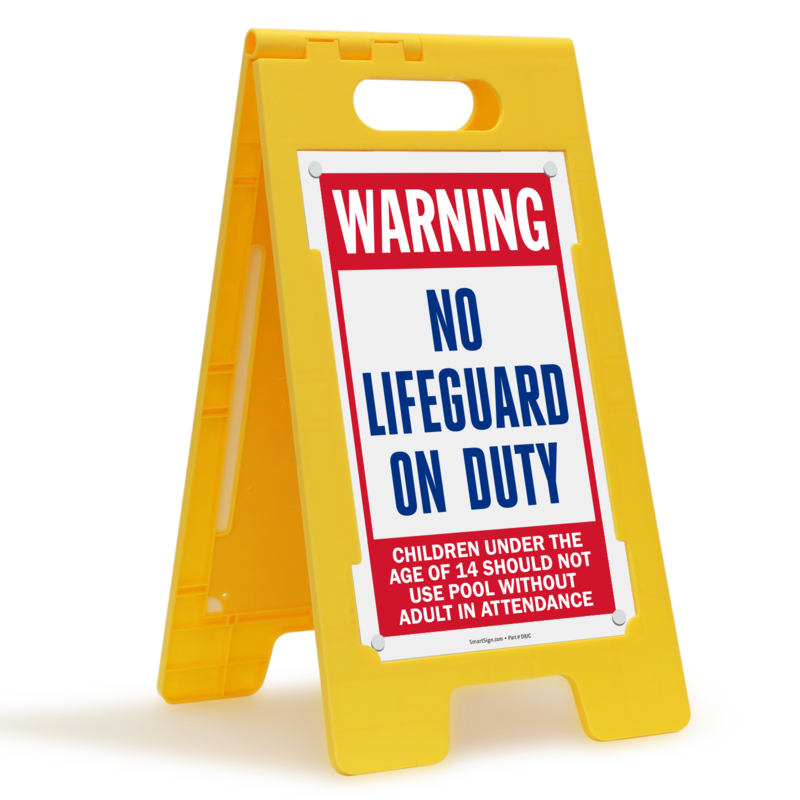 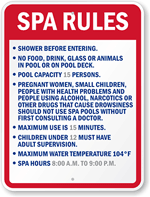 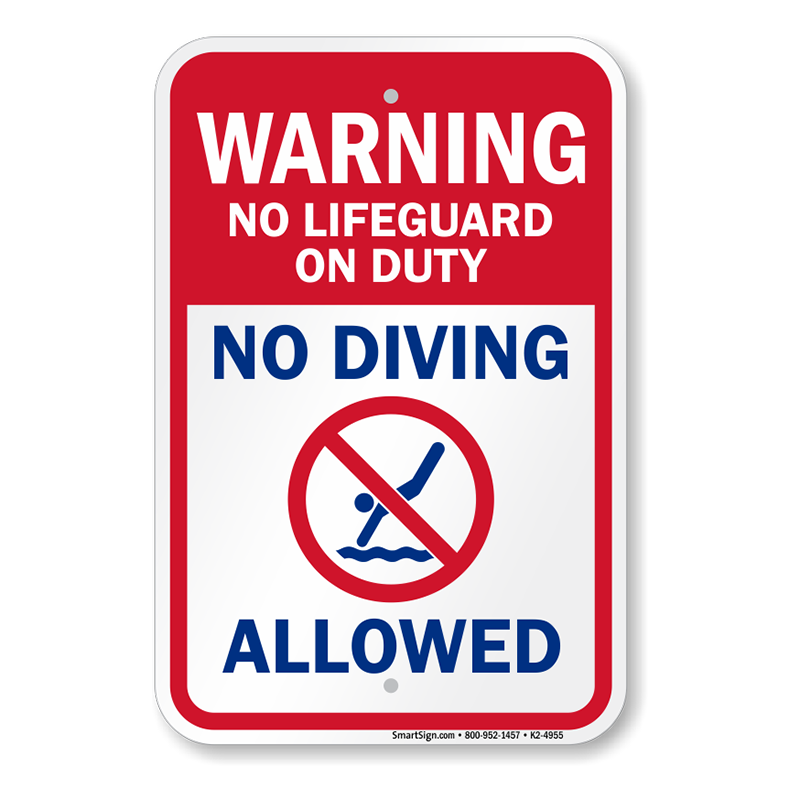 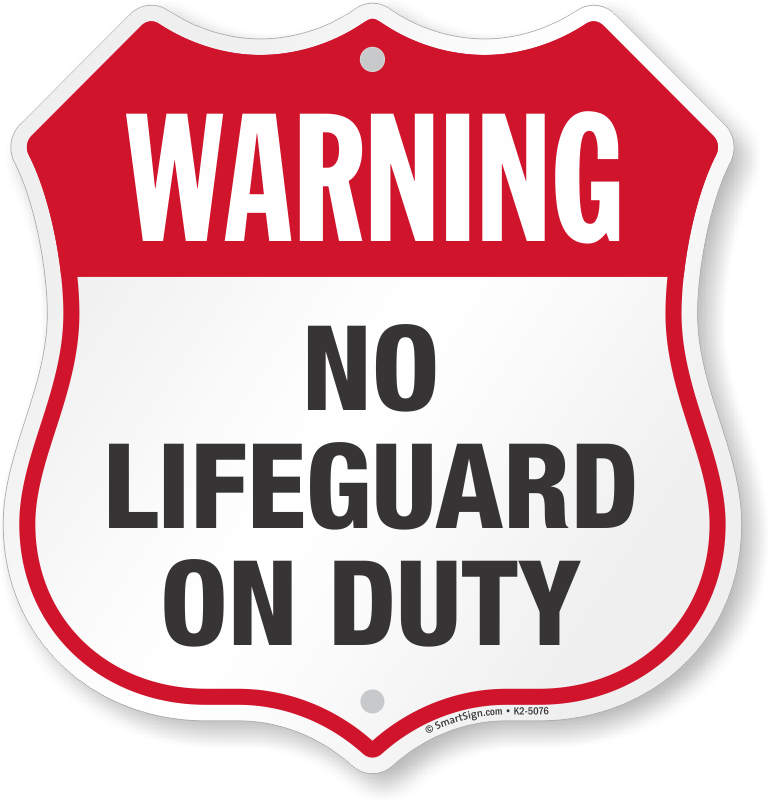 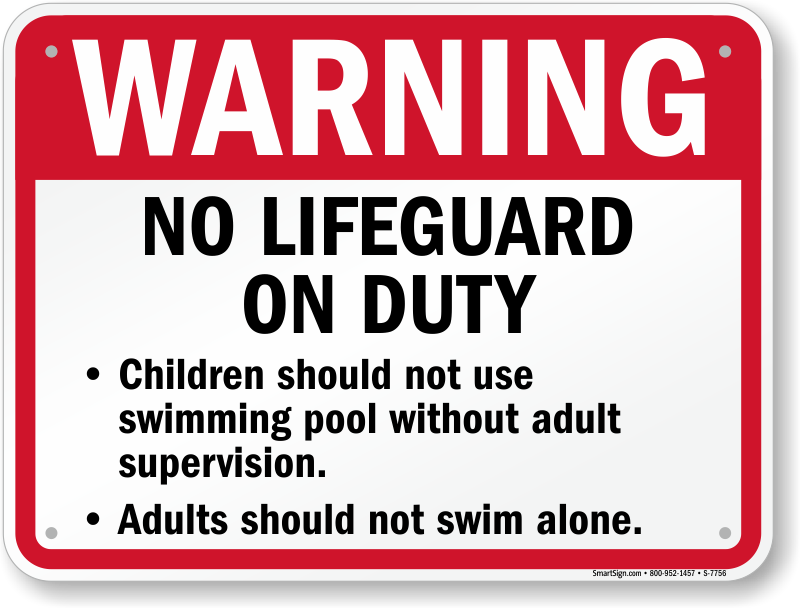 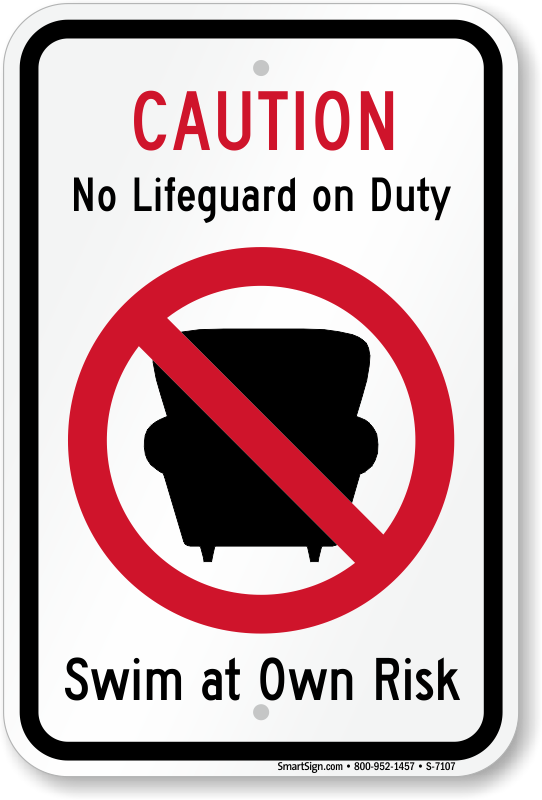 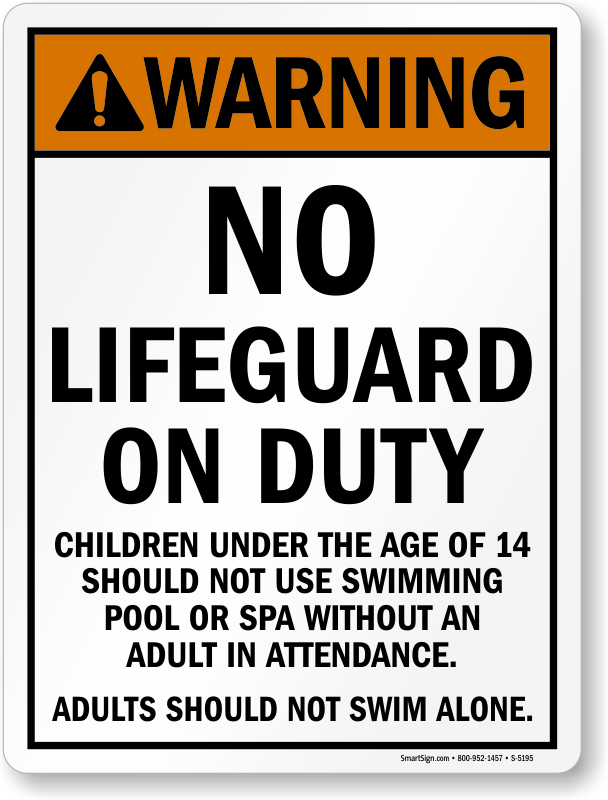 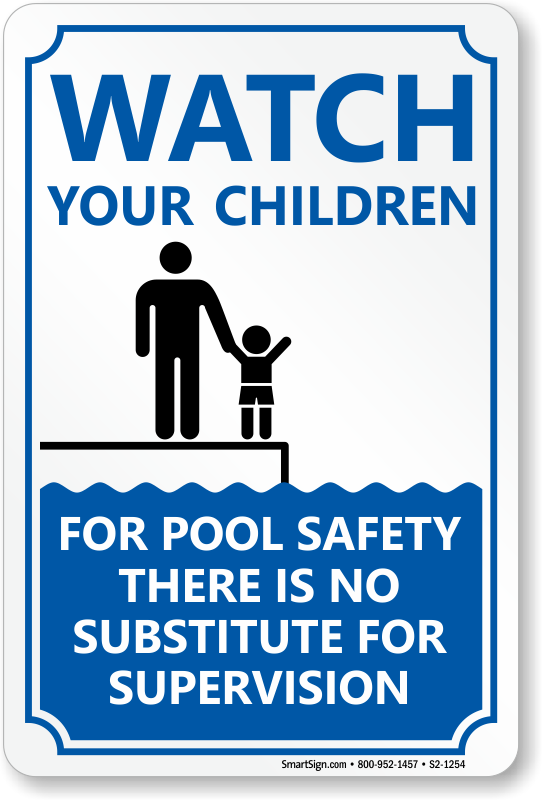 • No Lifeguard Signs can make a tremendous difference in the safety of your pool area. 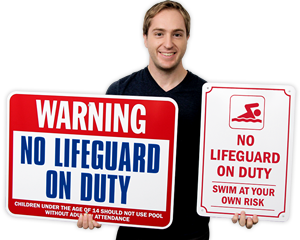 Free shipping on orders over $25 too! 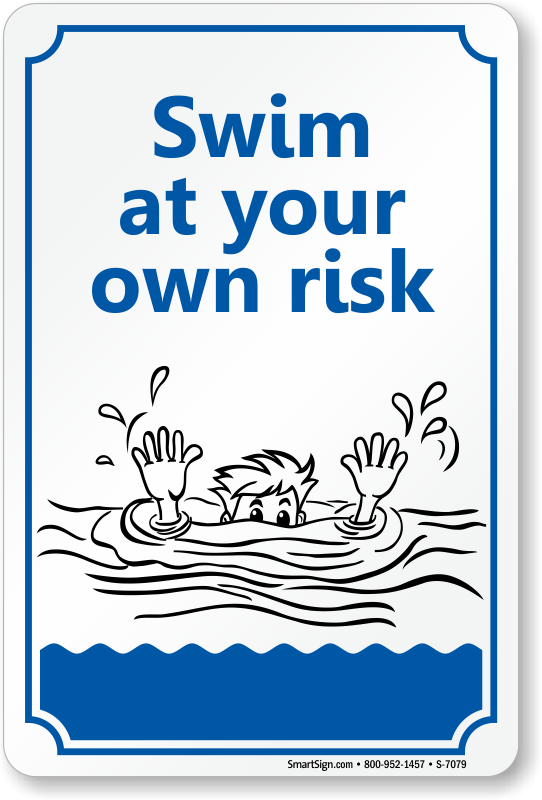 Not all waters are friendly and even the best of swimmers can find themselves struggling with dangerous currents. 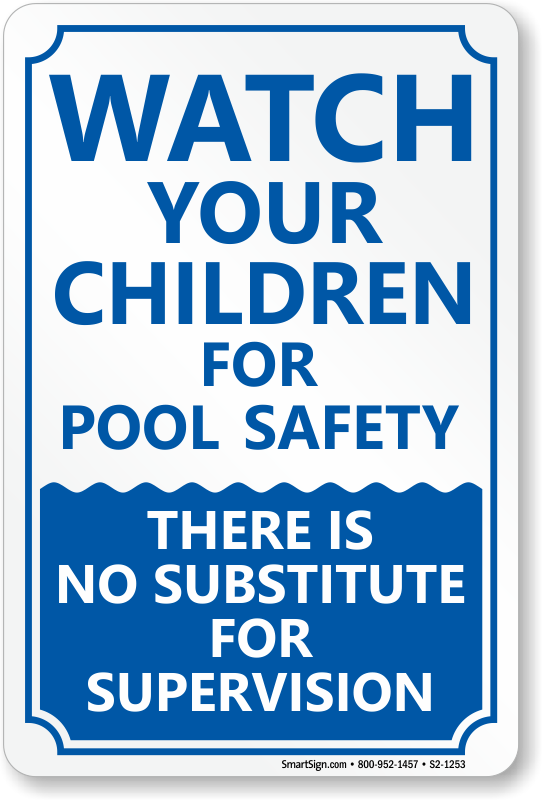 A simple reminder is all it takes to ensure everyone's safety. 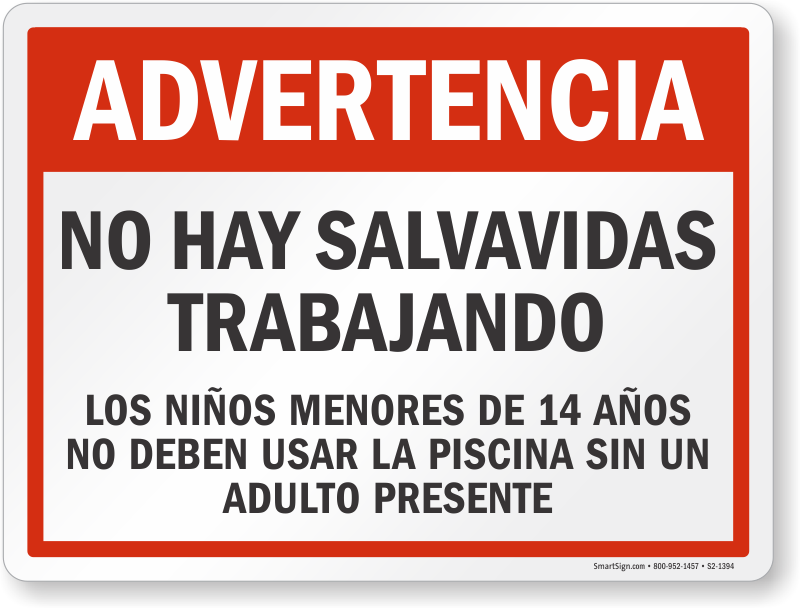 One of the very few Companies In would give a 5-Start rating to. 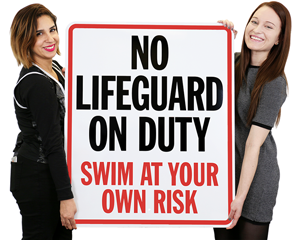 Have done business with them for several years and never a problem. 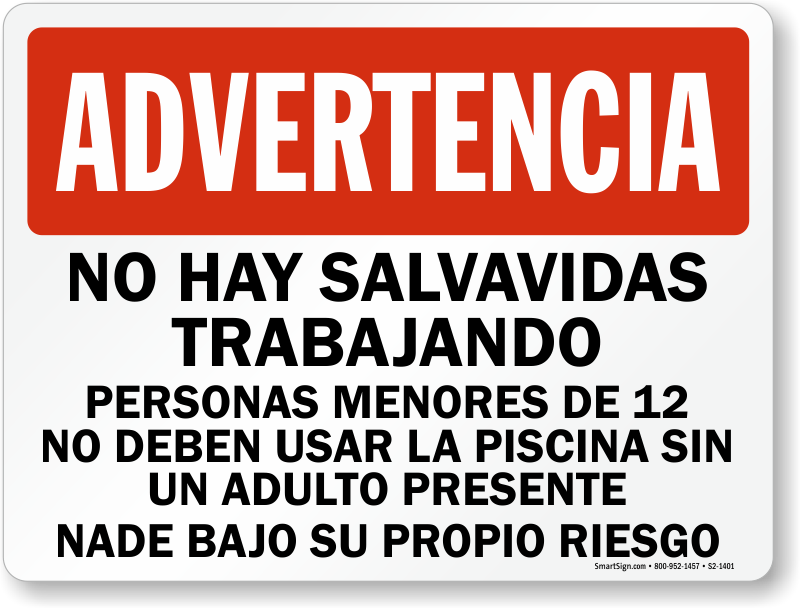 Great Company !!! 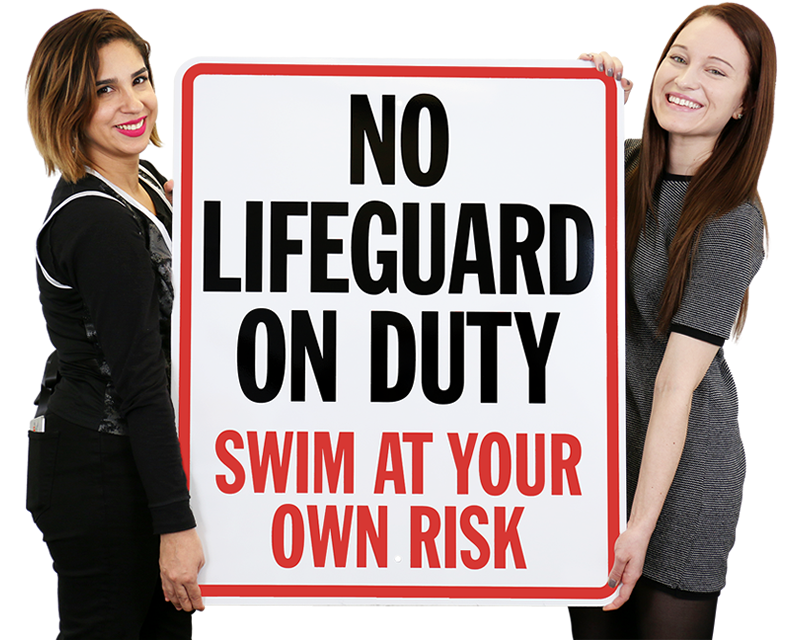 Very high quality sign, delivered rapidly. 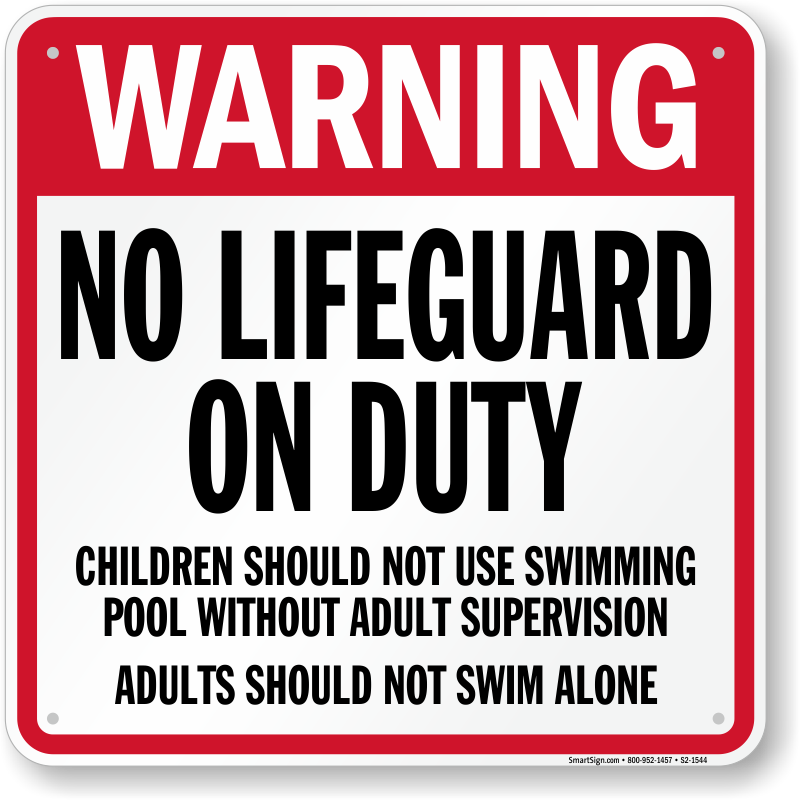 Could not have asked for a better experience! 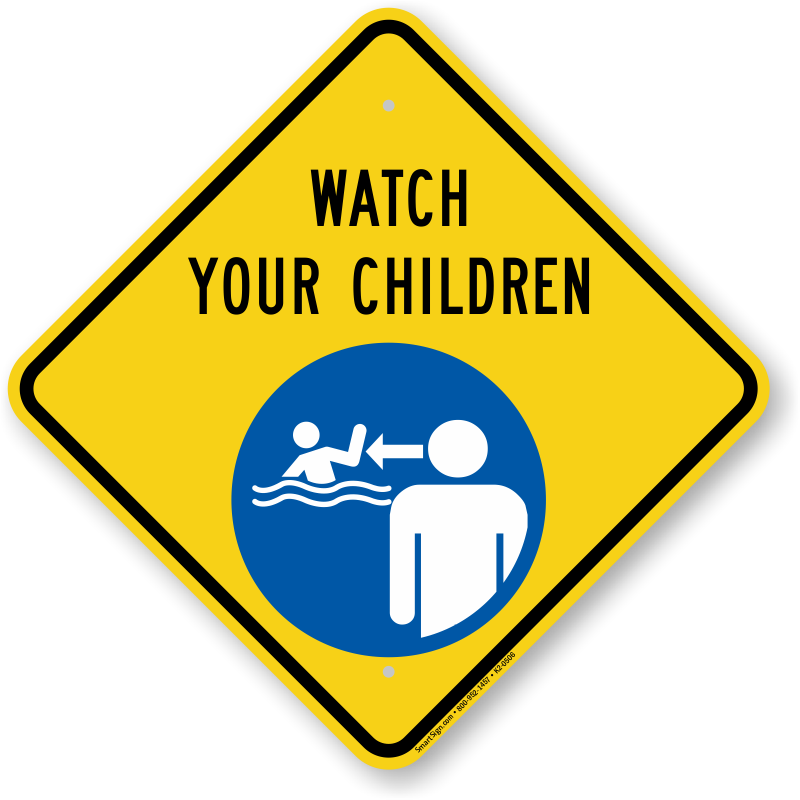 Great size and color for appropriate warning.